The moon doesn’t get much bigger and brighter than this. On Monday, Earthlings will be treated to a so-called supermoon. That’s the closest full moon of the year or every 14 months to be precise. Monday’s supermoon will be extra super, it will be the closest the moon comes to us in almost 69 years. And it won’t happen again for another 18 years, with the next one projected to occur on Nov. 25, 2034. NASA says closest approach will occur at 6:21 a.m. EST when the moon comes within 221,523 miles from the center of the Earth to the center of the moon. 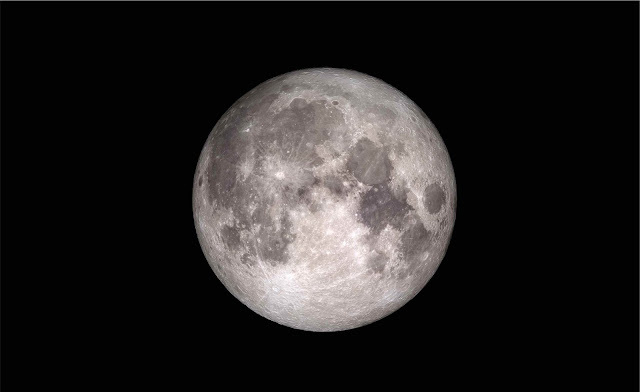 The Full moon will occur at 8:52 a.m. EST. NASA planetary geologist Noah Petro is urging everyone to step outside and soak in the view. Prime viewing will be Sunday and Monday nights. Stargazers were able to catch sight of the last supermoon on Oct. 16. Another supermoon sighting is expected on Dec. 14. When a full moon makes its closest approach to Earth, it appeared bigger and brighter than usual and is known as a supermoon. According to NASA, a supermoon appears to be between 14 percent and 30 percent brighter than a traditional full moon. Stargazers got a double celestial treat in late September 2015 when a total lunar eclipse combined with a so-called supermoon. What happened to our historic capital? Do we really need buildings with outer glass?